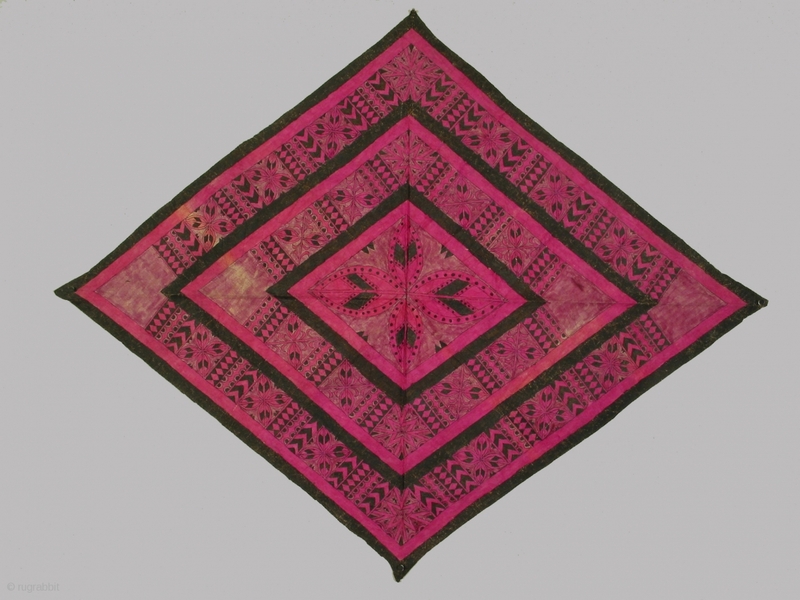 Man's headwrapper, Toradja culture, Sulawesi, Indonesia; barkcloth painted with natural colorants, circa 1900-1950, 44 x 56 inches. Such headwrappers were worn by headhunters as ritual adornment when they went on headhunting forays. They are rarely available for sale today.